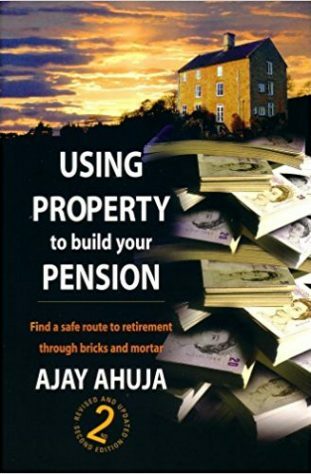 So you’re convinced that a property pension is better than a traditional pension, you’ve identified your profile, you’ve chosen the strategy that suits you best - so where do you buy? This section you’ll be relieved to hear is not so number crunching! Its just basic common sense that will register as we all have an intrinsic understanding of property. Is it an established town or city? Its quite safe to say that tenant demand will always be high in London. Its our capital city and there will always be an influx of people looking for somewhere to live in London. The problem with London is that the yields are poor. Now if your strategy is to contribute on an ongoing monthly basis then choosing London is not a problem as London will provide a long term income for life. If you need a higher yield and want quite an assured income then consider other well established towns and cities. Birmingham is the obvious second choice. But there are others. Look at where major employers are or considering to move to. Is there a strong infrastructure in place. Follow the news. The government is considering to build all along the M11 corridor. Once the infrastructure is in place the demand for properties here will be high. Is it a university town or City? If there is a university in the area then there will always be demand for properties by the students and the employees of the university. If it’s a new university then tread carefully. They may not be there in 10 years time. If it’s an old university then you can be assured that it will be here for at least another 40 years. Does it near a train or tube station? If your property is next to a tube station in London then people will fight you for your property! You will have no problems letting out your property as hardly anyone has a car and the only way they can get about is by tube or bus. Owning a car is becoming more and more expensive. People are now ditching their cars, saving their money and buying or renting a property closer to a train station. If you’re a 10 minute walk to a property from the station then you save on cab fares. Tenants will equate this cost saving and pay for this luxury. Is it close to a major road link or airport? Getting to the main route out of the area can be a nightmare. If you’re at the other side of the town from the main junction it can add up to 1 hour to your journey – especially if you’re traveling in rush hour. Having a property next to a main junction (but not on it!) can save people a lot of commuting time. And you know what time equals – money! Does it have a hospital? Hospitals employ many people. With this brings many other employers supporting this whole community. The most desirable rental properties are the ones near hospitals. The tenants tend to be of good nature compared to the rest and you get less fuss from them. Does it have major employers? If there are large factories or offices littered around the area (that look open!) then this is good news. This means there will be plenty of employed people looking for a rental property. With the major employers they attract the smaller employers and it all filters down. Does it have a major shopping centre? If there is a major shopping centre there then these guys think the residents of this area have money. If they have money then they will be able to pay your rent – well in theory anyway! People like to shop and the closer the shops are to them the better. So an area is desirable if it has retail parks, large shopping complexes, Tesco Extra etc. Is there major inward investment in to the town or city? Liverpool has been chosen to be the European City of Culture for 2008. There will be major investment to the city that is expected to change the area for the better. Investors are rushing to buy up everything in sight. Whether Liverpool will change for the better is uncertain for me. But look out for areas that have been ear marked for inward investment. They could offer you above average capital growth. This will be handy if your strategy is to Buy & Then Sell. Does it have a good school If the area has an established school that appears in the top 10 of the league tables for that area then there will always be demand for properties in that area. Families will pay a rental premium for a property in the catchment area and demand will be high. Does it have good leisure facilities? Is there a sports centre or swimming pool in the area? Are there things to do in the area? Does the place have historical interest that attract visitors? Anything that makes the area a fun place to be or a proud place to live in is a good thing. To test desirability of an area is to put a rogue advert in the local press. Place an ad before you own any property in that area for a property at market value rent. See how many calls you get. If you get one or two calls then forget it. However, if you get 40+ calls then you know you’ve hit a hotspot. I have a few properties in Harlow, Essex and I placed an ad for one of my properties at slightly above market value and I had at least 40 calls and the property was let within two hours of the paper coming out. Visit the place! This may seem obvious but you really have to visit the area a number of times. Consider what feeling you get. Is it somewhere you would like to come back to because you will be if you own property here! Are there tramps or young hooligans hanging around? Get the local press Get and read the local press. See what’s going on. If the front page is about how a guy got murdered last week and pages 2, 3 and 4 have all violent crime reports then the area might not be for you. Look at developments that the paper is reporting on. Is there a new road being built, a re-opening of a station or a new communal swimming pool being built. Look for dereliction Are there any boarded up properties or shops? Is the high street full of £1 shops and charity shops? Is there wasteland with demolished buildings dotted around the area? If there are signs of neglect then it may be because the council don’t have the funds to regenerate due to lack of residents. But don’t be too judgemental. It could be that there is a new shopping centre being built nearby or the wasteland could be turning into luxury apartments and they haven’t been built yet. Talk to the locals Strike up a conversation with a local newsagent. Do people like living here or are they thinking of moving out? Do the locals look drab, tired and fed up? Ask about the area and what they know about it. Even if it is chit-chat you’ll be surprised at what some locals volunteer. Get statistics You can get statistics from the local library (or the internet www.upmystreet.com). Find out crime rates, migration statistics, council tax rates etc. Whatever you think you need to build a better picture of the area by way of statistics. Remember – you can never have too many statistics! What are the transport links? Does the train station have a direct line to London or Gatwick Airport? Does the area connect to a motorway that gets you to a major city within an hour? Connectivity to major hubs is a key factor in providing longevity of income. If it connects well then people will always consider this area within a certain radius. Is it clean? The cleanliness of an area can determine the whole feel of the area. Research has shown that it impacts on the behaviour, mood and well being of the residents of the area. Is the area well maintained? Do you get a good feel for the area? Have the chains moved in? When you walk down the streets is there a Marks&Spencers, Pizza Express, JD Wetherspoons? If these guys are here then its likely the residents will stay. Go for a high demand type I buy a lot of properties in Stoke-on-Trent. There are rows and rows of 2 bed terraces available to buy and rent but every now and again a 3 bed property comes up for sale. Because there is a shortage of 3 bed+ properties they rent very easily. You need to find out what is a high demand type. Due to the conversions of many large properties in London to self contained flats there is a shortage of 4 & 5 bed homes to rent. These type of properties fly out of a letting agent’s window as they are in short supply. Consider number of bedrooms, detached executive properties, fully furnished and more than one bathroom properties. Fashionable address If there is a fashionable part of town and people love to live there then consider buying there. You will pay over the odds but if you can go for a low yield then these properties never remain empty for long. Avoid the unusual If the property is unusual like it’s a converted windmill, next to a cemetery or made out of timber than avoid it. You may find tenants but it may take longer than usual. You could find yourself experiencing long void periods in between tenancies. Proximity to facilities If you go for a property that is near the town centre or local shops, near a school, near a train station or near anything you think is desirable to be near to then you can be assured that it will be desirable to someone. Proximity to undesirability Look around the property and see what you can. If the back garden backs on to a gipsy site, rubbish tip or dodgy council estate then its best to avoid it. You may find that you get a high turnover of tenants due to them getting fed up with the trouble being near something undesirable. You have a legal duty to provide floor coverings. If there are no carpets then you will have to pay for new ones. Kitchen Is the kitchen big enough to accommodate a small dining table? This is attractive if there is only one reception room and it turns the kitchen into a kitchen-diner. Smallest bedroom If the smallest bedroom is smaller than 6ft 6” in any direction then it is not a bedroom! You need to be able to get a bed in a bedroom hence this room can only be considered as a study or a baby’s room. You need to consider this when considering what type of tenant you are looking for. If you are looking for two professional people to share a two-bedroom flat then the second bedroom must be bigger than 6ft 6”. Bathroom Is there a fitted shower? A bathroom is a lot more desirable if there is a power shower. If there are two bathrooms then the property is very desirable, even if it is only a shower room. Heating Is the heating system old? This can be costly to replace. If possible get it checked prior to purchase. It is your legal duty to provide heating and to issue a gas safety record. Electrics Are the electric sockets old? This will tell you that at some point the whole electric system will need rewiring. Service charges If it is a flat you will have to pay service charges. Ask the agent if he has any details of the service charges. Some places have exorbitant service charges that render the whole investment unprofitable. Avoid listed buildings as they have frequent redecoration policies that can be expensive. Do not believe the myth that a property is only worth buying if you could see yourself living there. The fact is that you aren’t going to live there so what is the point of asking yourself if you could live there? You should ask, ‘Would someone live here?’ In a high demand area people will live in a house as long as it has running hot water. I’m sure you’ve heard the horror stories from people living in London. I knew of 16 Australian and New Zealand backpackers sharing one room! I wouldn’t live there, but the landlord found 16 people who would! You have to assess the demand. Buy the local newspapers and gazettes on the day they advertise local property. If you don’t live in the area ask them to send you this on a weekly basis. Telephone all the agents and ask them to recommend the areas which rent the best and the most consistently. Get on the agent’s mailing list as a potential investor, and ask for their landlords pack. This will include details of property they have for rent, and property suitable for a rental investment. This way you can do your homework from one mailing. Tell the agent you work to strict pricing/bedroom criteria and hold your ground. Most agents will always send you the properties at the top end of your budget because they make more commission this way. Find an agent you can trust to bring you good deals. Watch out for them trying to promote all the one bed studio flats and maisonettes they can find. This is fine if you are looking at a city with a very fluid population and you are buying in the central district because you want to rent to urban dwelling city workers seeking tiny pied a Terre properties. Elsewhere however think carefully about this type of unit and the difficulties that come with it. At the other end of the scale don’t be tempted into buying one enormous house or a flat with four bedrooms because it may be slow to let and even slower to re-let. Instead consider investing in three two bed flats or two bed terraced properties if that’s what the market dictates.